You can create new reports and manage any existing reports you have in your portal using your reports list. If you want to analyze your dashboard reports instead, learn to use your reports dashboard. Your reports are grouped by different statuses. To filter your reports by status, select one of the following statuses in the left sidebar. All reports: displays all reports. Custom reports: displays only custom reports. Standard reports: displays only standard reports by HubSpot. In Dashboards: displays reports that are part of a dashboard. Not in Dashboards: displays reports that are not part of any dashboard. At the top, click the dropdown menus to further filter your reports. Dashboard: displays reports included in a specific dashboard. Created By: displays reports created by that user. Created Time: displays reports created in a specific timeframe. To create a new custom report, click Create custom report in the upper right. This is only available for subscriptions with custom reports. Use the search bar to look up a report by name. To view a report, click the report's name. To rename a report, hover over the report, click the Actions dropdown menu, and select Rename. In the dialog box, enter your new Report name and click Rename. To clone a report, hover over the report, click the Actions dropdown menu, and select Clone. For custom reports, a new tab will open to the report builder with a clone of the report. To delete an existing report, hover over the report, click the Actions dropdown menu, and select Delete. In the dialog box, click Yes, delete report to confirm you want to delete it. To bulk delete reports, select the checkboxes next to the reports you want to delete, and click delete Delete in the header row. 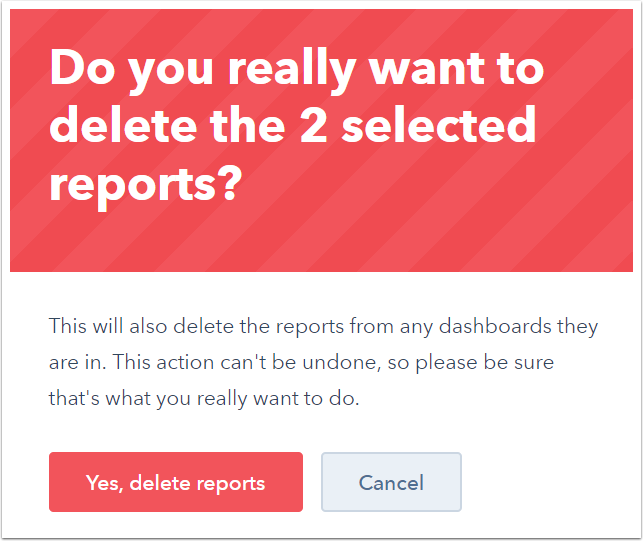 In the dialog box, click Yes, delete report to confirm you want to delete these reports. 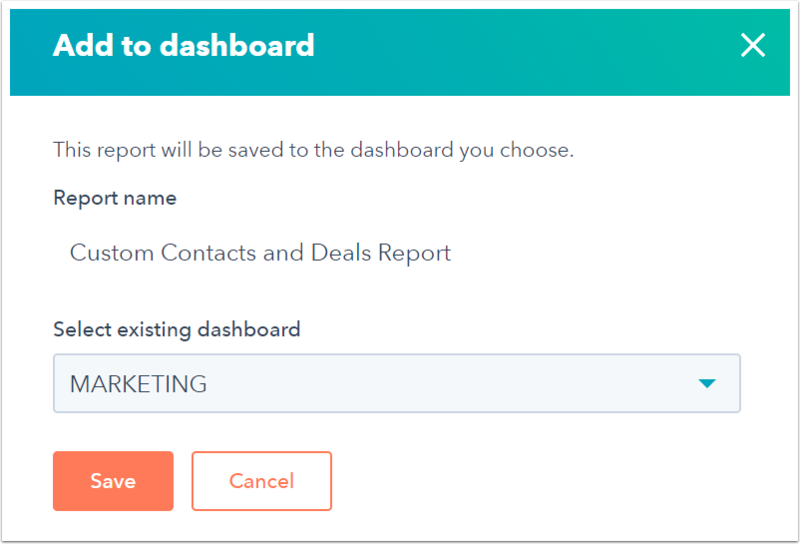 To add a report to a dashboard, hover over the report and click the Actions dropdown menu. Then, select Add to dashboard. In the dialog box, click the Select existing dashboard dropdown menu and select the dashboard to add the report to. Then, click Save. 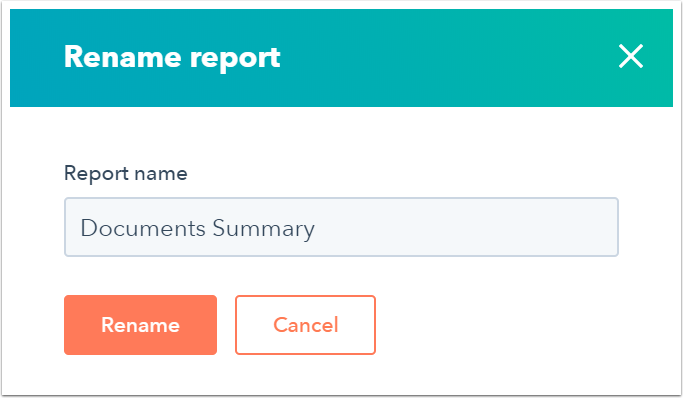 To edit an existing report, hover over the report, click the Actions dropdown menu, and select Edit. This will bring you to the report builder. This is only available for subscriptions with custom reports, and is also not available for certain reports (e.g., Top Emails, Top Documents).